I just love a good pampering session. I have come to really appreciate them, especially now that I am a new mommy to a lovely 7 month old little boy. 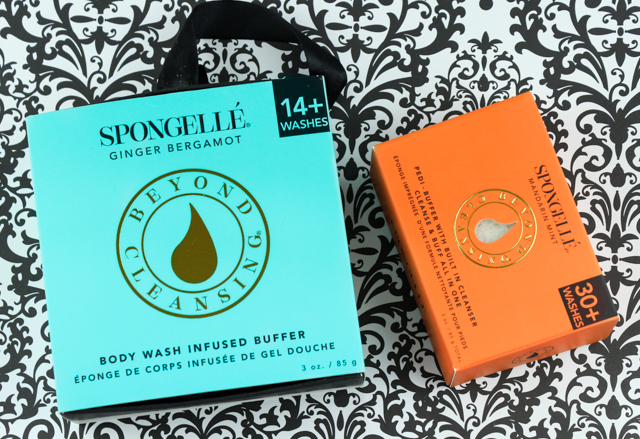 I was lucky enough to get the opportunity to try these Spongellé cleansing body and pedi buffers, which effectively cleanse and beautify the skin. These sponges are unlike any other product on the market, thanks to their innovative technology which goes "beyond cleansing". These multi-functional textured sponges aren't just cleansers, they are also exfoliators that help eliminate dry skin, and stimulate circulation. In addition, they provide a delightful massage that many are sure to enjoy. The sponges are hypoallergenic, infused with the finest ingredients, and are comprised of one of a kind fragrance blends, which make for a unique and luxurious cleansing experience. Ginger Bergamot Boxed Flower: This body wash buffer helps rejuvenate, restore, and moisturize the skin. It contains Yuzu, Edelweiss, and Vetiver extracts. 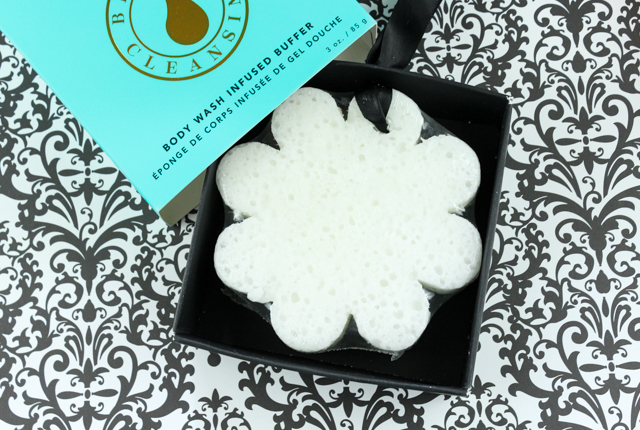 To use, I run the sponge under water and it immediately softens in form as I squeeze, creating a creamy lather. This does a real nice job at exfoliating and cleansing my skin. After my shower, my skin looks and feels super soft and hydrated. Love! This body wash buffer is good for 14+ washes, so it should last awhile. Bonus: The boxed flowers are perfectly and conveniently packaged, so they make a great gift. 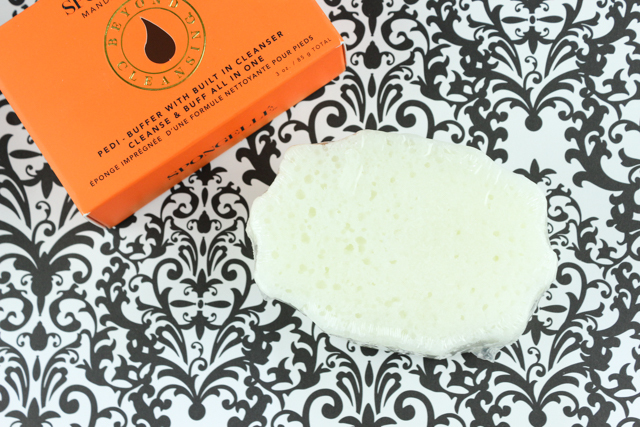 Mandarin Mint Pedi Buffer: My feet need all the TLC they can get, so this pedi buffer couldn't have arrived at a better time. It contains arnica, peppermint, and sea kelp extracts to soothe skin. My rough, dry heels and calluses were no match for this buffer (good for 30+ washes), which cleanses, soothes, and softens my feet like nobody's business. This product is just purely amazing. And the fragrance? Lovely. Highly recommend! What do you all think of these Spongellé buffers? Disclaimer: This post has been powered by BrandBacker. I received the products mentioned above for review purposes. For more information, please visit my disclosure page.